Keep your summary short, cover the highlights, and assume key people will read this summary and nothing else. It’s a front door. Whether it’s an executive summary that comes first in a document, or a summary memo, make that reader want more information. A good summary is a collection of tips of the iceberg. Each one has enough information to imply its entire iceberg, but it can’t go too deep, and it has to leave the iceberg somewhere. Don’t promise in the summary anything you can’t back up in the document or following discussions. As your plan changes, rewrite and revise your summary to keep it fresh and keep it aligned with the plan. As you summarize, keep in mind the nature of your business plan event. Choose what to include based on specific needs. Different experts have different opinions on the ideal length of a summary. I’ve always recommended a summary of 2-5 pages, which can be used as a stand-alone summary memo where that’s appropriate. For example, in my angel investment group, we don’t read full business plans of all the startups that apply for investment. We eliminate some proposals just from reading the summaries. 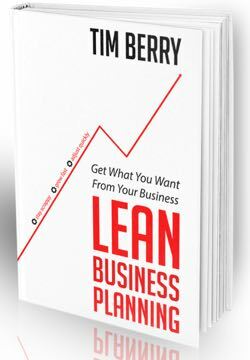 We read the full business plan only after deciding, from the summary, that we want to know more. A generalized summary will include the obvious information such as essential business details, what you sell, what locations, projected sales growth, profitability, and news you don’t want anybody to miss. It’s a good place to put a highlights chart, a bar chart that shows sales, gross margin, and profits before interest and taxes for the next three years. You should also cite and explain those numbers in the text. However, generalized summaries are as rare as generalized business plan events. Write a new summary for each new event. Tailor it to match the requirements of your specific business plan event. For example, a plan to be used while seeking investment performs a sales function. You are selling your concept, your startup, or your growing company to an outsider who is interested in becoming an investor. So put yourself in the investor’s place and emphasize the elements that will make her money. Put management team, market potential, scalability, defensibility, and possible exits where she can see them. Highlight whatever is strongest about your plan, compared to others. If you have a venture already backed by major brand-name backers, say so early in the summary. If you’ve got a founders team that includes several known entrepreneurs with good track records, then put it up front. If you have a good business track record, like impressive early sales or landmark deals with major channels, corporations or governments, put that first. If you have an amazing new invention or break-through technology, lead with that. Use good judgment. You’re an editor, at this point, looking at things through the audience’s eyes. An executive summary can be the first chapter of a business plan document or a stand-alone document separate from the business plan. It assumes the more elaborate document exists. It can be printed, sent as an electronic (PDF) document, or left on the web with password protection. A summary memo stands alone. It can be a document on its own or attached to an email, or it can be text in an email. What people refer to as a one-page business plan is also a summary. Occasionally a one-page summary is called a pitch, or a business pitch. I’ve seen short videos serve as summaries. They have to be just a few minutes, ideally just one minute, never more than three. They cover the same ground as the summary. They are usually password protected. An elevator speech is also a summary, but delivered quickly – in as little as a single minute – and verbally.